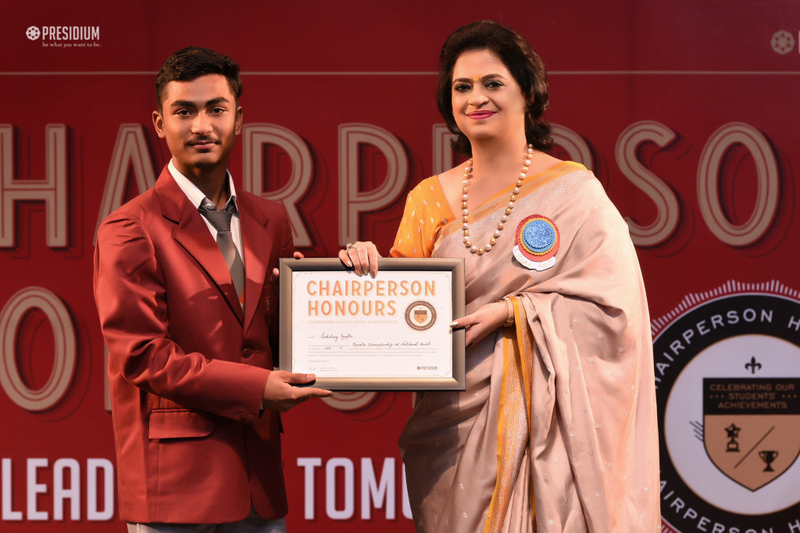 Presidium believes in the positive recognition of the talents and achievements of its students. 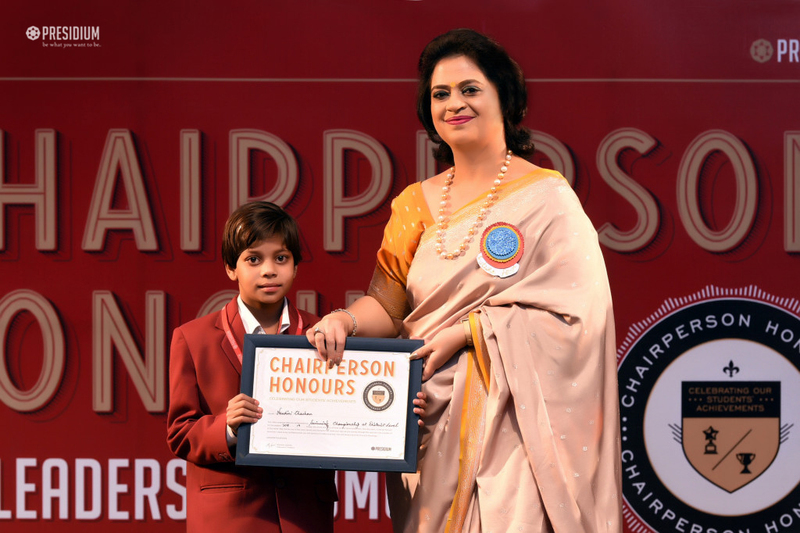 Keeping with the endeavour, the ‘Chairperson Honours’, a part of the Annual Gala, ‘Future Fest 2018’ was organised. 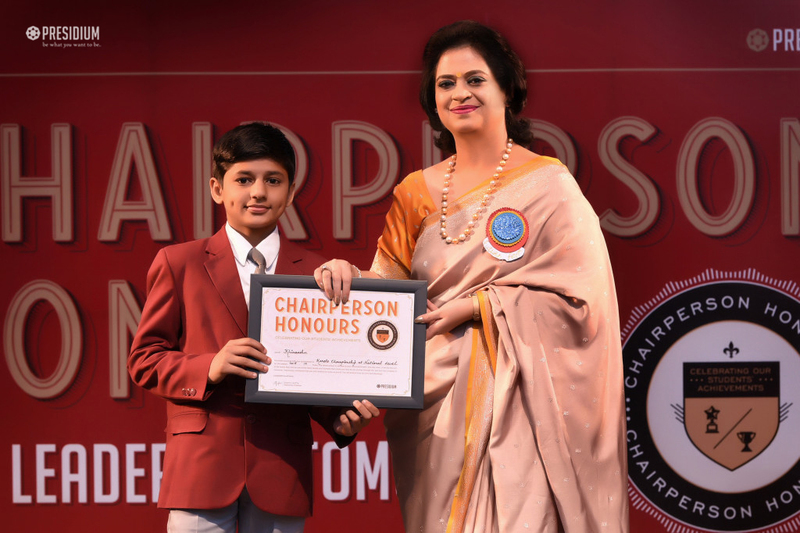 The honourable Chairperson of Presidium, Mrs. Sudha Gupta awarded trophies and certificates of recognition to the young achievers who emerged victorious in various inter-school, zonal, state and national level competition. 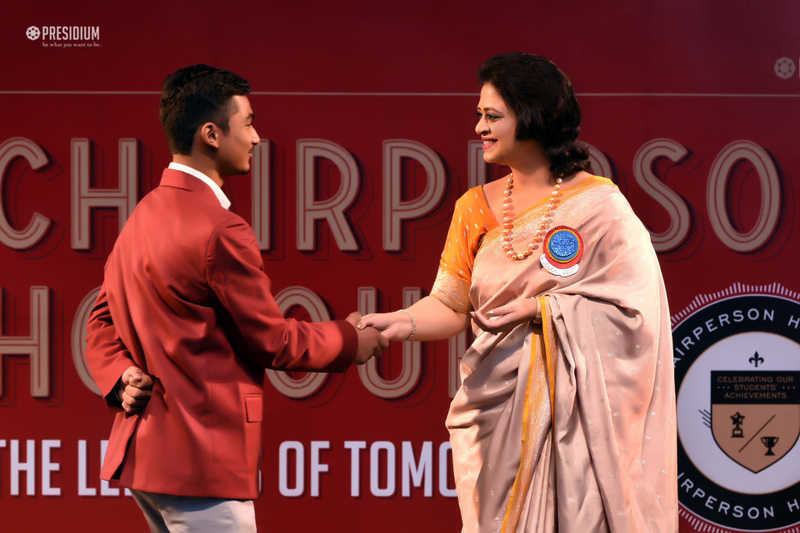 Ma’am, with her encouraging words also motivated students to never cease their hard work and determination and continue bringing laurels to the school. 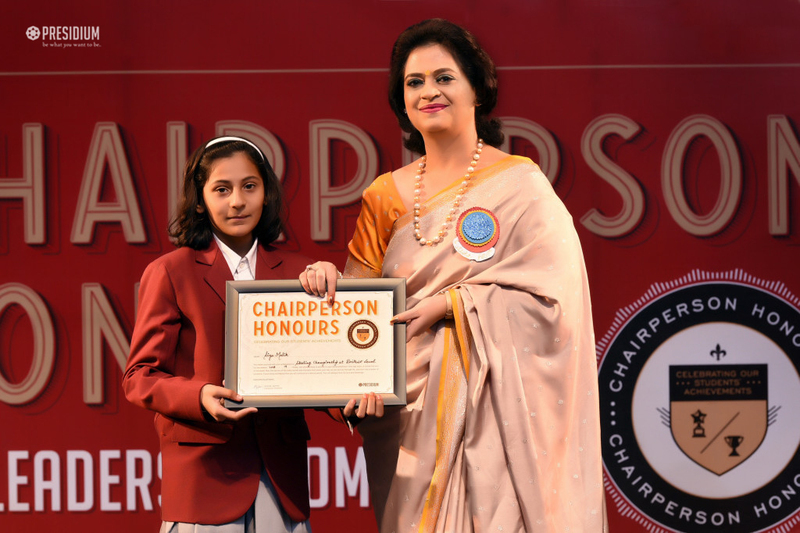 It was a proud moment for all the teachers and parents.